The old adage, "never judge a book by its cover," has always felt stale and inaccurate to me. I love judging things quickly and irrationally. 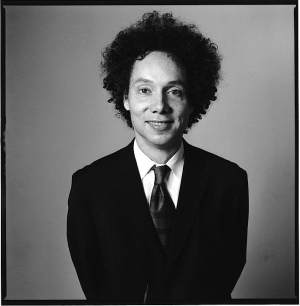 (Malcolm Gladwell calls it "thin-slicing." Sign me up.) So, when I saw this bottle of wine that Meghan brought home from her trip to Oregon, I immediately got excited. The label has that classic, dusty book-jacket look that never fails to grab me. True to its image, Owen Roe is a new world vineyard that makes wine in a classic, old world style. Their grapes are hand-harvested, fermented in bins, and manually crushed. Owen Roe's Sharecropper's Pinot Noir was one of two pinots that Meghan brought home from Oregon after trying them at Oregon Wines on Broadway, and we decided to kick off the weekend before Thanksgiving with it. We opened it and let it breathe for about thirty minutes before tasting it, but it still had a fair bit of alcohol on the nose. I've always confused the sharp bite of alcohol for what the wine-folk describe as "spice." Alcohol's that burn you feel in your nose even while you're drinking. The wine had a dark, dull red color and gave off a hint of vanilla. There was a little acidity up front and enough tannins to let this 2008 vintage sit for a year or two. The wine had a smooth, luscious texture, but enough structure to leave a distinct finish. The Sharecropper's pinot is a classic American pinot noir: not very dry or earthy, but fruity, with dark cherries prominent throughout. We enjoyed the wine on its own it (Meghan more so than me) but it really opened up when paired with our seafood-based dinner. We served the wine with roasted shrimp and broccoli over lemon risotto. Thanksgiving is approaching, and that means it's time to find ways to drink through and around your family. Stay away from that classic-yet-thin-and-tart Beaujolais Nouveau and consider this Oregon pinot. If nothing else, you'll be seduced by it's rustic, Pilgrim-esque logo. Owen Roe has some of the best labels (and wines) in the business for me - very medieval themes. My favorite label still being the Sinister Hand.